Events – E. John Love: a Writer. Listening to the podcast “Serial”: comprehensive research, or boring and gossipy? Today, I’ve been listening to the podcast Serial, that now-famous online audio series that’s garnered record numbers of listeners. It has been both praised and reviled in the press. In recent years, I think that podcasts have taken a back seat to other online media, particularly social media and especially online video. Some reviewers have claimed that Serial has raised the profile of podcasts, attracting loads of new listeners to what was considered an old medium. You know, like from ten years ago, when people still thought iPods were revolutionary. I’ve enjoyed listening to Serial, but I’ve also found it to be a bit less than formal. It feels unstructured, running along like a continuous conversation that we’re overhearing or listening to from the sidelines. Maybe it’s too conversational in format? It feels like an editorial piece where the author’s points of view, questions or self-doubts become a major aspect in the story, competing with whatever objectiveness there may be in the story. Despite my concerns, find myself still listening to it. The thing is, I’ve loved listening to old-time radio programmes, especially comedies, and detective dramas. The dramas especially tend to put you in the head of the main character, where their thoughts and speech as rendered as equally important. It was first-person, in the “Raymond Chandler” sense. After listening to the first few episodes of Serial, I found it difficult to stay engaged with the story. There were so many players, people who were involved, or who knew people who were involved, or who might have seen something. I found myself feeling a bit bored at times, drifting off mentally. I began playing episodes while I did other things, picking up the important points, and hoping the rest would just sink in. Maybe all my years of surfing the web for quick answers have destroyed my ability to absorb and enjoy long-form narrative. I’m ready to accept that possibility. It’s not presented in a sensationalized style at all, but from episode to episode, it’s compelling enough to keep me listening, and like the chapters in a good detective novel, ending with a dangling question – a challenge to the audience – which sets up new mysteries and proposes new possible answers. I think that many people like to play detective, to listen in on lurid details, gossip-style, and to speculate on all the pieces of a vast puzzle. This format is not unlike the lurid “true crime” detective magazines that you can still see on some magazine racks, and all over the web. 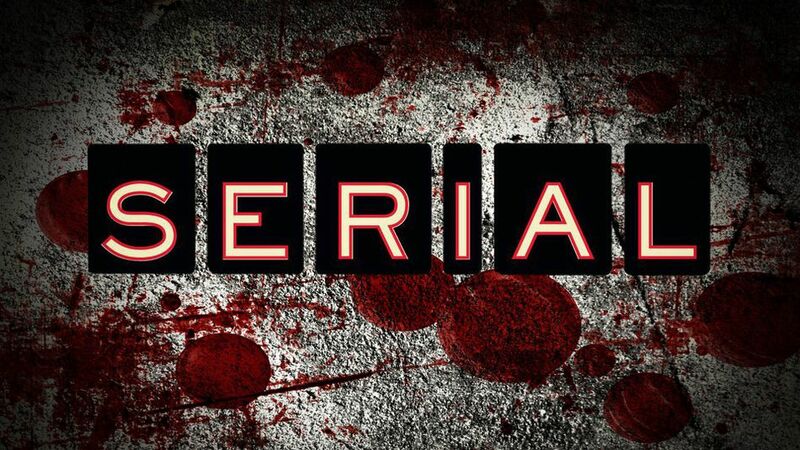 Serial also has a few other marketing and publishing characteristics that have greatly accelerated its popularity: it’s freely available at serialpodcast.org, and being online, it’s easily republished via social media. Dear Warner Bros: You got Superman so wrong. My hopes for an amazing, uplifting Superman movie have been sucker-punched by “Man of Steel”. Check out these posts by Tom Williams, a literary agent and biographer of hard-boiled crime fiction master, Raymond Chandler. The raw material of a story or any creative work probably comes from at least two kinds of sources: the Subjective, and the Objective. Somewhere between these two seemingly opposite categories sits the Artist, who must decide how and when to engage either approach, and whether to use an unbalanced or balanced approach. I’ve probably stated this before in previous posts, but factual research is a big deal to me. I don’t claim to be the most tenacious digger of facts, but if, as a Reader, I can’t relate to some level of realism in a story or its characters, the author will easily lose me. The raw material of a story or any creative work comes from two categories of sources: the Subjective and the Objective. Subjective material includes events, memories and things of with which you have a direct personal involvement and/or memory. They can also be fuzzy, under-defined, elusive or prone to contradiction – after all, they are your memories – and from my experience, human memory is fragile and subject to change without notice. But, still, it’s yours and you own it, and it’s there to be utilized. Objective material means, to me, information that has been documented, and hopefully verified, by third parties, associations, papers or contains some testament as to its proof, like scientific research. Somewhere between these two opposite categories sits the Artist, who must decide how and when to engage either side, and whether to use an unbalanced or balanced approach. For example, I remember an article by James Bond creator, Ian Fleming, who advised writers that when creating a thriller novel the author must include enough realism to provide a solid base upon which the more fantastic elements of the story can stand. In other words, Fleming said that if you can initially establish believability and credibility in the known and possible elements of your story (the recognizable places, personalities and objects), the reader would be more likely to accept and engage in any unknown or seemingly impossible elements. This kind of social realism is a core approach that I took in my first novel, Owe Nothing, where I tried to create a detailed, recognizable, and somewhat gritty portrait of my home town of Vancouver, BC. I tried to kind of iconify settings such as rusted, rotting motels, junk-strewn alleys and fast food drive-thrus. I’ve read some novels which, in my opinion, have almost no scenic descriptions at all; everything is described in between a character’s ears, but almost nowhere else (“The Boys From Brazil”, I’m looking at you). By contrast, thriller/detective authors like Ian Fleming, Dashiell Hammett and especially Raymond Chandler, have a way of bringing places to life and almost transforming them into characters in their own right. In “The Lady in the Lake”, Chandler makes you taste the dust inside the deserted lakeside cabins in a little town. In “Live and Let Die”, Fleming evokes the neon sights, blues and jazz music, speech patterns and emotions of Harlem in the mid-50s (at least from the perspective of a middle-aged Englishman). Rich settings like this help to involve the reader in the world to a greater degree, and to legitimize and contextualize the characters. Subjective work can be more elusive and difficult to feel confident about. I have a major character in “The Two Sisters”, Rose, who in her teen years suffered a horrific personal assault – the kind that I’ve never experienced personally. To create this event for Rose, I had to dig down into a few scared, sad moments from my own youth (as well as read testimonies from other sources) and synthesize the character’s physical and emotional responses, layering them with the in-the-moment sights and sounds that add a level of irony, symbolism and drama, all while relating to larger plot line and themes of the story. Often, the subjective and objective aspects are intermingled. In her later years, Rose becomes a long-term resident of a psychiatric hospital. I began to describe her appearance and behaviour quite easily, since I based her on my late mother, who was a 14 year resident of BC’s provincial mental health facility, Riverview Hospital. However, describing the specific medication or intimate details of the day-to-day life of a Riverview resident are much more difficult, and require research to be accurate. Few people will ever try to refute your subjective personal experiences or opinions, but things that are objective, verifiable matters of record are certainly more vulnerable to scrutiny. At the end of the day, no work can be perfect. I think that most readers are willing to forgive minor inconsistencies or errors, so long as they believe that the author has made their best effort to get the facts straight and to present an entertaining and believable story. Ah, Spring. A time for growth, renewal, and positive change. And spring cleaning. My personal web presence at www.ejohnlove.com has been in play since 1998, and over the years, it has been the home of all of my online personal shrines and pet projects, not the least of these is “True Life”, my personal family memoirs project. In 2002, during a particularly bleak period of unemployment, I reacted to my frustration and lack of control with a familiar and comfortable escape into fiction. However, instead of reading spy novels, comics or graphic novels, I began my first attempts at writing fiction. Scribbling in my notebook on the edge of my bed during the late nights and early morning hours, I created a cast of characters and a world through which I could tell stories that spoke about the events and values of my personal life. I created a mythical family and friends – composites based upon real people. Jack Owen and his family, friends, his motel home, and his fictionalized Vancouver-Kingsway neighbourhood all resulted from this. After seven years, countless Starbucks runs, and seemingly endless paragraph-by-paragraph writing and editing sessions, my first novel, Owe Nothing, finally came into being in April 2009. September through October of 2002 turned out to be an incredibly productive time for me. Not only then did I begin writing the first scenes of Owe Nothing, but I also developed basic outlines for many of the characters who appear in the novel, and a few who don’t. This burst of activity, seemingly automatic in nature, spurred further ideas for related stories, all of which could occur at different times within the same world as Owe Nothing. I was sketching out a new world inside my dog-eared, spiral-bound notebook. My second novel, The Two Sisters (currently in progress towards a first draft), was originally sketched out as a short story outline in 2002. Not long after Owe Nothing launched online with Trafford in April 2009, I revisited my notes for Two Sisters and started trying to flesh out the story. It was around this time that I realized that I might actually have a second novel in me, and maybe even a third one after that. I realized that this fiction writing thing was starting to become a major preoccupation, and that perhaps I should consider developing it into more of an occupation. In the first year since the publication of Owe Nothing, I’ve confined my marketing and sales efforts to anything I can accomplish online, particularly in some sort of semi-automatic manner. From this came a Facebook page, AdWords ads, one hundred Twitter tweets, and promoting and linking my old fiction page (http://fiction.ejohnlove.com) in directories, blogs and message boards all over the web. I tried a number of tactics. While these may have helped somewhat to get me web visitors, none of them seemed to result in any actual sales (if Trafford’s records are to be believed, anyway). I began to feel as if I were flailing around ineffectually, so I decided to find myself some good advice. Nowadays, I’m taking counsel from a book marketing pro, and thinking more about the future of Jack Owen, the character, and of E. John Love, his official biographer. It has become the right time to move Jack and the “Owe Nothing Universe” off of my personal hobby site, and to develop a separate new web presence – one that gives Owe Nothing and any related stories the focuses they need and deserve. In January, I entered an excerpt from my novel, Owe Nothing, in the 2010 ABNA Amazon Fiction Contest. I held no expectations of success – at least that’s what I told myself going in. There were 5,000 entries along with me, in the General Fiction category – to me, it seemed like a big field. In March, I learned that Owe Nothing had succeeded to the next round, along with 999 other contestants. I couldn’t pretend that I wasn’t happy about that! The underlying question motivating me to enter a contest like this must have been ” How good is my book, really?” I spent years writing it, paragraph by paragraph, with little to no outside input as the first draft came together. I finally started getting feedback in April 2008, after Owe Nothing was finally published. I would never disparage the opinions of the readers who’ve been kind enough to offer me their feedback on it. They went cover to cover, as far as I can tell, and seemed to enjoy the story, and I appreciate that. Most of the feedback I’ve received has been enthusiastic and positive, and I must say, gratifying or even comforting. But, my eyes are open – Steinbeck, I ain’t. I tell myself that I can see myself clearly, and that I’m a relative babe in the woods in the world of fiction. All the same, I was a bit disappointed to learn in March that I’d not advanced to the next round in the ABNA contest. 500 writers advanced, and I was not among them. I shrugged this off, swallowing a tiny dose of disappointment. To set the scene for the reviewer’s comments, the excerpt I submitted was from the second or third chapter, where the main character, Jack, and his pal, Parm, have been called into their boss’s office at the Paradise Car Wash. Their boss, Bill, wants to recruit them into a covert group of evening vigilantes called “The Insiders”, who are engaged in spying and courier operations all over greater Vancouver. Parm and Jack are not convinced by Bill’s offer, so Bill plays them a recording from a man called “Ed”, who explains their mission in idealistic, somewhat moralistic terms that resonate with Jack more than Parm. After this, Bill takes them out to his storage shed behind the car wash and shows them the bullet-riddled car that belonged to the last operative – a man who’d recently left his employ very abruptly. Bill might have been trying to discourage them with this evidence. Later, away from Bill’s office, Jack and Parm have a long discussion about the risks and benefits of joining the Insiders, and the possible motives of their handlers. A few days after learning that I’d been eliminated from the ABNA competition, I received an email from the contest advising me that there were reviews written about my submission. I was curious to know what the judges or reviewers of the ABNA contests thought, so I went online to read them. Having been written by ‘Professional Reviewers’, I knew Iwould give their feedback some weight. Plus, I was waaaay curious to read what they had to say. The first review from ABNA said that the “dialogue between the two individuals trying to figure out whether to take the vague offer to do the angel’s work ” was the strongest aspect of the piece, and that the weakest was “the recorded voice giving directions and reassuring the operatives that they’re doing good”, which was considered to be “very reminiscent of the TV show Charlie’s Angels”. This reviewer felt that Owe Nothing was “good, well-written” and “creates some tension, but I’m not quite sure where it is going at this point”. The second review from ABNA said that the excerpt “has trite dialogue with phony dialect and inflection”, and felt that the story was unoriginal, too focused on the inner monologue of one character, and too derivative of “tough guy, private eye fiction”. The reviewer that gave the more positive review seemed curious about how the story would progress. The other reviewer was turned off, and not interested in reading the rest of the story. I have steeped myself in old-school “tough guy, private eye fiction” over the years, particularly the now dated, but undeniable masters of the genre, Dashiell Hammett and Raymond Chandler. Contemporary writers like Brad Smith and Elmore Leonard have also been influential. To a certain degree, I have consciously set out to write like them. Perhaps that’s just a symptom of a novice in a beloved genre. It’s fair to ask myself if this emulation serves the story or just serves my own personal enjoyment. I do indeed write to amuse myself, first and foremost. I must also admit that after I wrote that scene in Bill’s office, I did chuckle at the similarity to “Charlie’s Angels”. Looking back, maybe this was a kind of vague parody – a tongue-in-cheek homage to aspects of low-brow TV detective fiction that could have subliminally influenced me. I’m fairly philosophical about this kind of feedback. Some people dislike low-brow dialogue (or perhaps more accurately, dated, or poorly-executed low-brow dialogue), and some accept it. I really don’t take myself all that seriously, but I’ll admit that the first few chapters of Owe Nothing are written with less confidence and more self-consciousness than the rest of the book. Maybe I shouldn’t try too hard to make characters (or the voice of the story) sound a certain way. I pondered all this while watching “Dead Men Don’t Wear Plaid”, Steve Martin and Carl Reiner’s hilarious tribute to (and parody of) 40s tough guy detective movies. After I watched it, I did begin to notice that some of the idioms and colloquialisms uttered by Raymond Chandler’s character, “Philip Marlowe”, in his novels seemed a bit overdone, or too much of their time. I think that all feedback can be potentially positive if you can learn something useful from it. I’m going to keep on studying, and keep on writing. Jack Owen has a few more stories to tell, and if he keeps at it, they will probably get better and better. Recently, people from all over the world have been watching Vancouver, BC perform at its best, and there certainly is a lot to be proud of. This city has many sides to it, and truly, no two people experience this town in the same way. A young guy looking for adventure, and an escape from his lower-class rut. By accepting a bizarre job offer, he soon discovers that the back alleys and rooftops of East Vancouver hold more mysteries than he may be able to hide from his Dad or his Sister. Jack’s buddy from work, and his companion through some bizarre surveillance tasks that they’ve been recruited to do for a man they’ve never even met. Parm’s not sure if this is on the up and up, but he’ll do it for the money. Brothers, and friends of Jack from the neighbourhood. They’ve got to find a way to get rid of their violent alcoholic step-father Ted, without their mother Regina finding out. Maybe Jack can help them…? A good start: I’m excited to report that Owe Nothing is now one of 1000 entries that has advanced to the second round in Amazon’s 2010 Breakthrough Novel Awards! You can download the full review here.